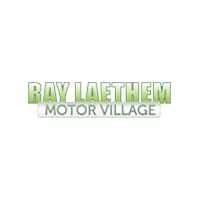 New Chrysler Pacifica Touring Plus for Sale in Detroit, MI | Ray Laethem CDJR " "
Find out more about this model, and take it for a test drive at Ray Laethem CDJR. We will deliver, at no cost to you, your new or pre-owned vehicle anywhere in MI, OH, IN, or IL. Call or email for details. *** WE SPECIALIZE IN CREDIT ISSUES *** Brilliant Black Crystal Pearlcoat 2018 Chrysler Pacifica Touring L Plus FWD 9-Speed Automatic 3.6L V6 24V VVT **HAVE QUESTIONS? TEXT US ANY TIME AT (313)327-3563**. We will deliver, at no cost to you, your new or pre-owned vehicle anywhere in MI, OH, IN, or IL. Call or email for details. *** WE SPECIALIZE IN CREDIT ISSUES *** Steel Metallic 2019 Chrysler Pacifica Touring L Plus FWD 9-Speed 948TE Automatic 3.6L V6 24V VVT **HAVE QUESTIONS? TEXT US ANY TIME AT (313)327-3563**. We will deliver, at no cost to you, your new or pre-owned vehicle anywhere in MI, OH, IN, or IL. Call or email for details. *** WE SPECIALIZE IN CREDIT ISSUES *** Brilliant Black Crystal Pearlcoat 2019 Chrysler Pacifica Touring L Plus FWD 9-Speed 948TE Automatic 3.6L V6 24V VVT **HAVE QUESTIONS? TEXT US ANY TIME AT (313)327-3563**. We will deliver, at no cost to you, your new or pre-owned vehicle anywhere in MI, OH, IN, or IL. Call or email for details. *** WE SPECIALIZE IN CREDIT ISSUES *** Crystal Metallic 2019 Chrysler Pacifica Touring L Plus FWD 9-Speed 948TE Automatic 3.6L V6 24V VVT **HAVE QUESTIONS? TEXT US ANY TIME AT (313)327-3563**. We will deliver, at no cost to you, your new or pre-owned vehicle anywhere in MI, OH, IN, or IL. Call or email for details. *** WE SPECIALIZE IN CREDIT ISSUES *** Ocean Blue Metallic 2019 Chrysler Pacifica Touring L Plus FWD 9-Speed 948TE Automatic 3.6L V6 24V VVT **HAVE QUESTIONS? TEXT US ANY TIME AT (313)327-3563**. Starting at just $32,595, the new Chrysler Pacifica Touring Plus is on sale now at Ray Laethem CJDR, your certified Grosse Pointe and Detroit Chrysler dealership, with competitive financing and lease rates available. Make it in to see us Monday through Saturday, or contact us if you have any questions.